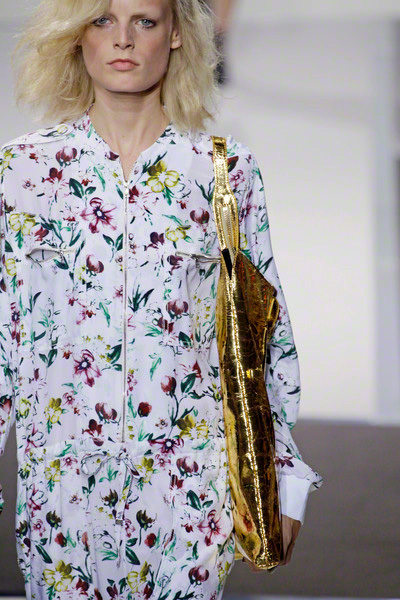 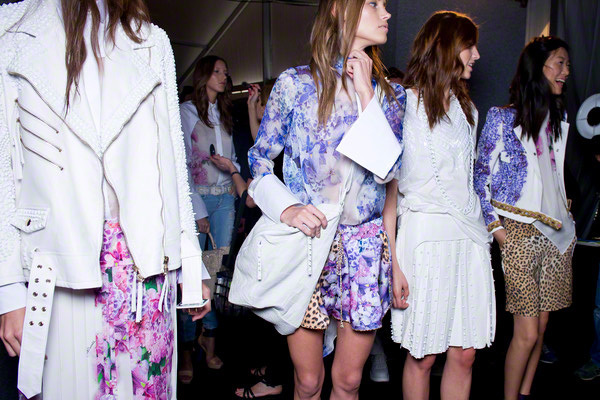 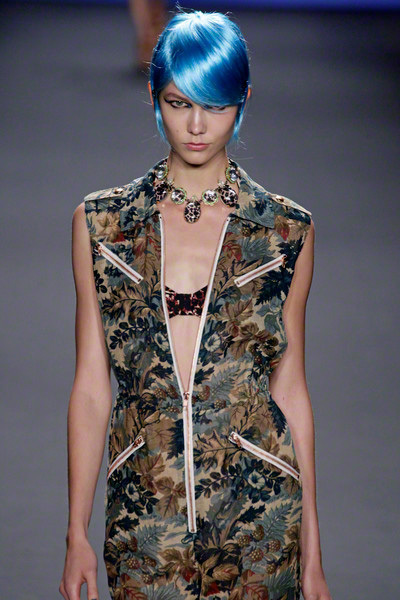 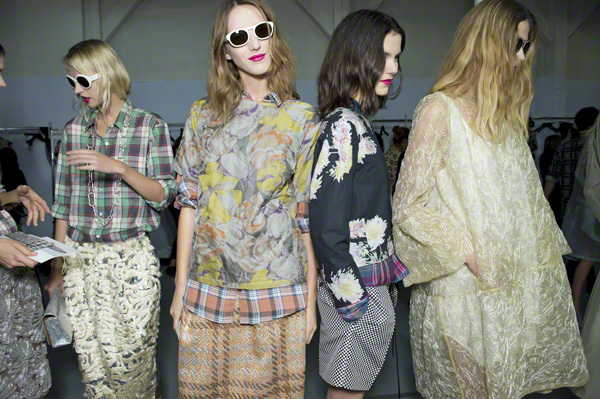 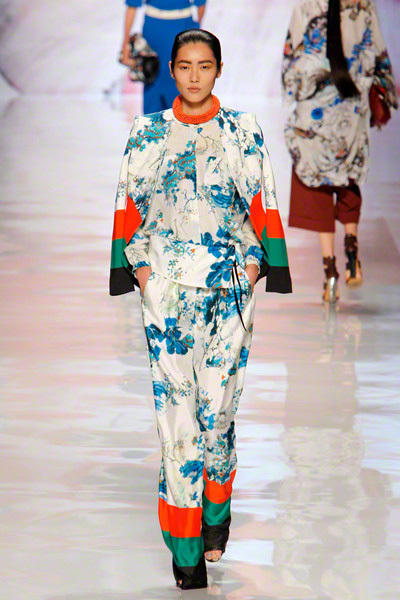 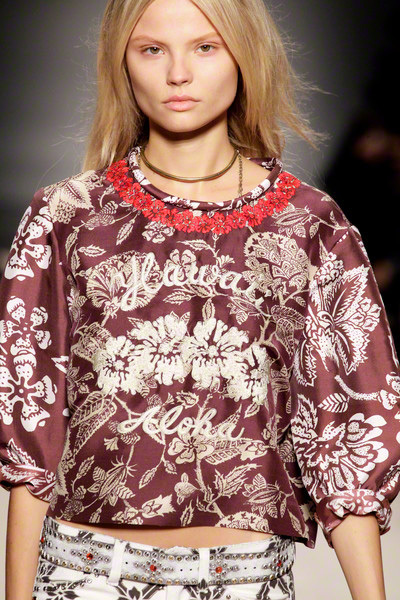 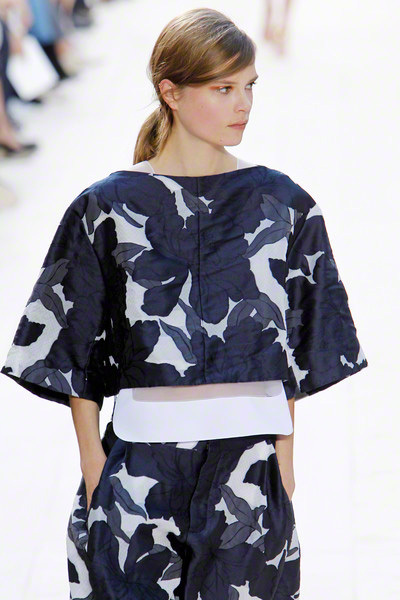 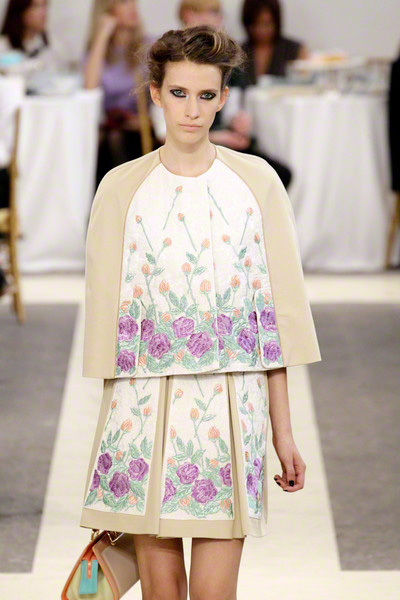 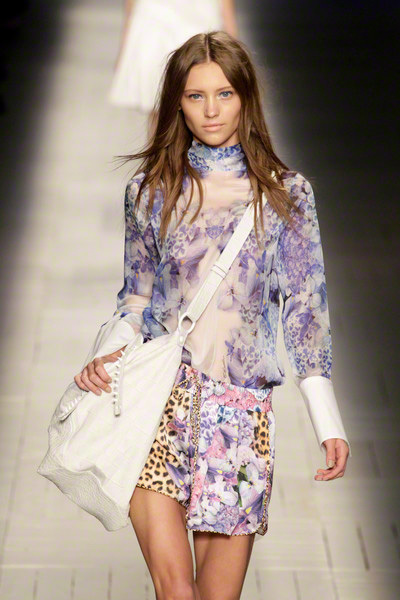 Summer after summer we’ve seen floral prints concurring the runways. 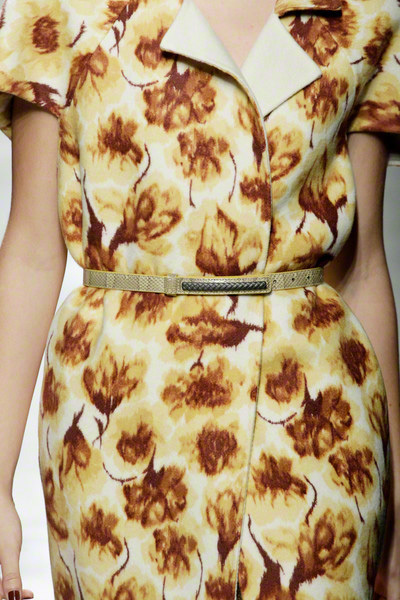 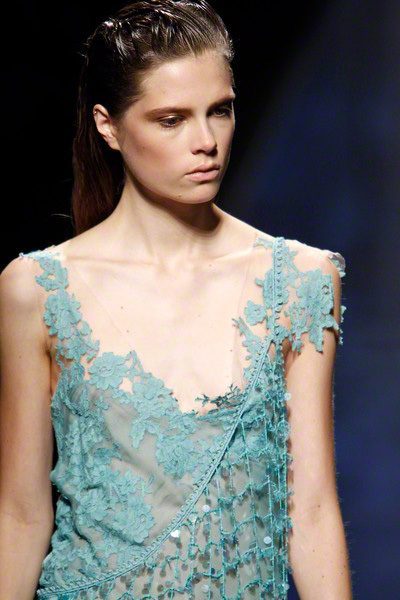 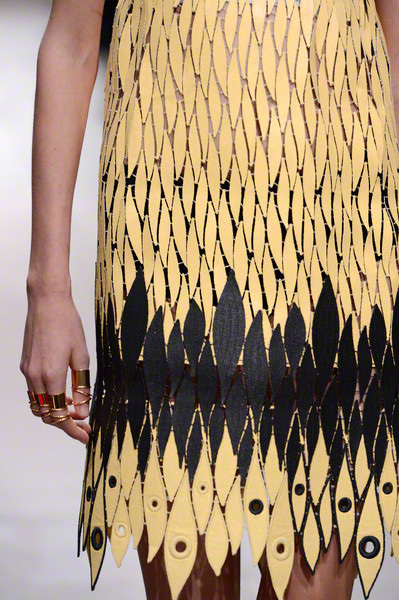 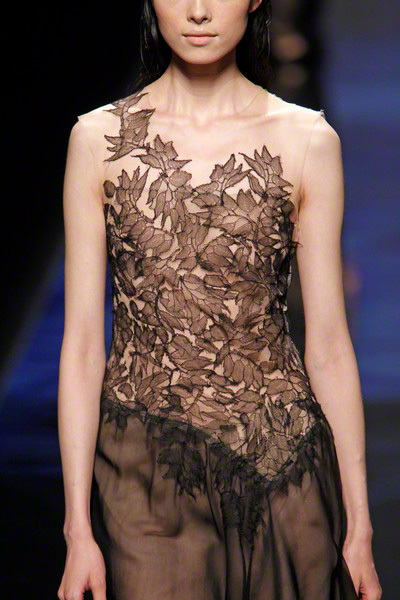 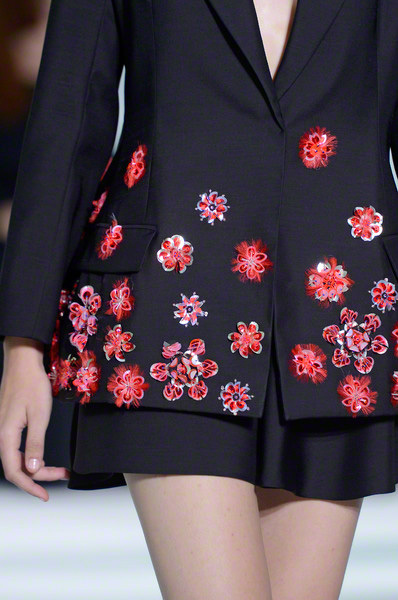 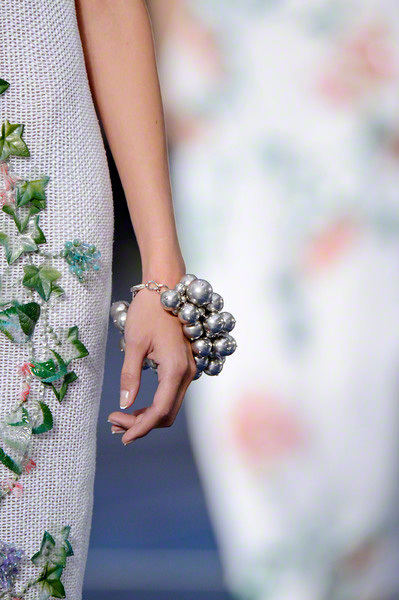 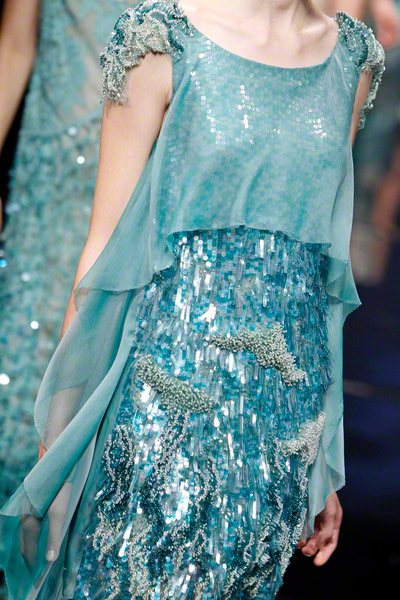 This season too the flower popped up during numerous big fashion shows, but it wasn’t the only nature inspired detail. 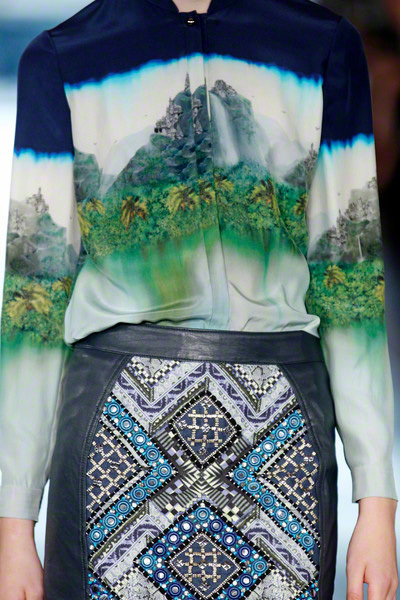 Besides flowers, big leaves, water patterns, mountains, trees and animal were all part of this nature trend. 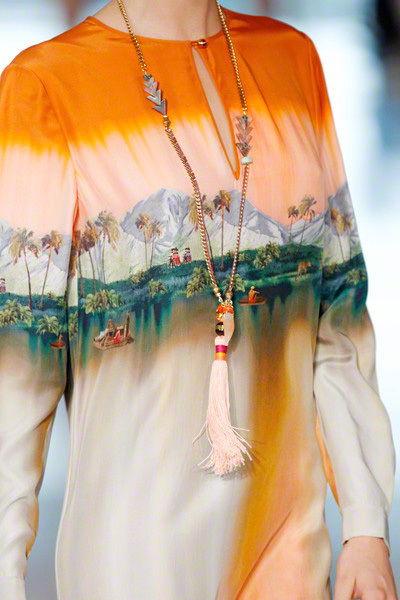 And whether graphically printed (Just Cavalli, Matthew Williamson) or hand embroidered (Prada, Chanel); every single mountain, leef or flower looked stunning. 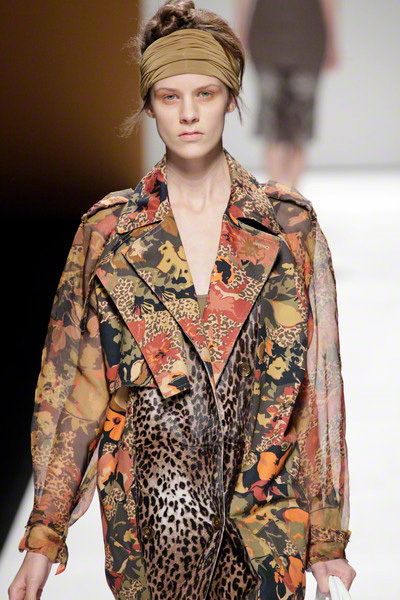 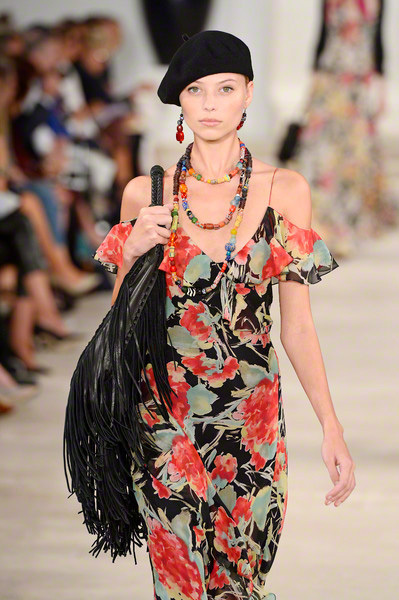 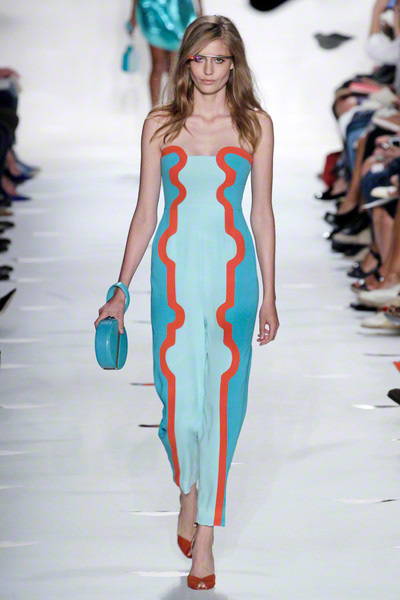 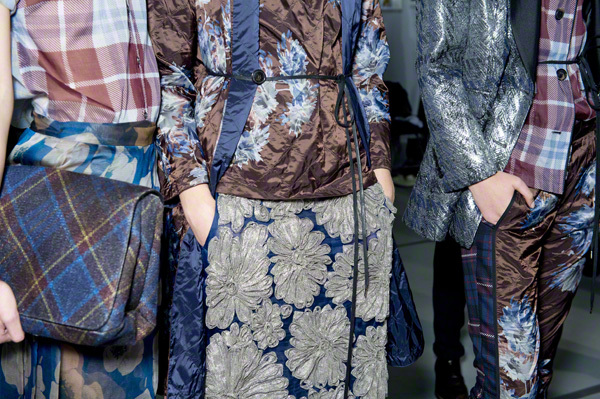 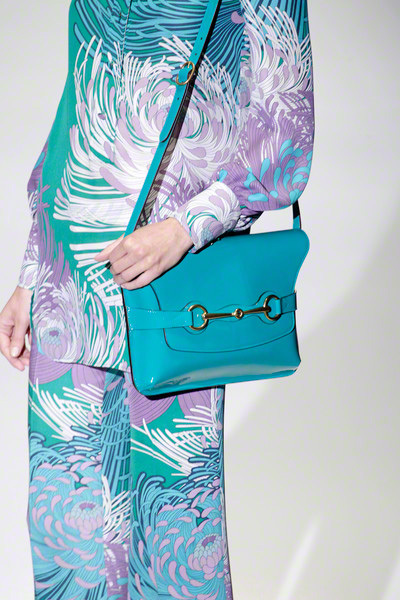 Dries van Noten, Carlos Miele and Just Cavalli opted for printed sheerness, while Antonio Marras, Anna Sui and Bottega Veneta choose thicker, more structured fabrics. 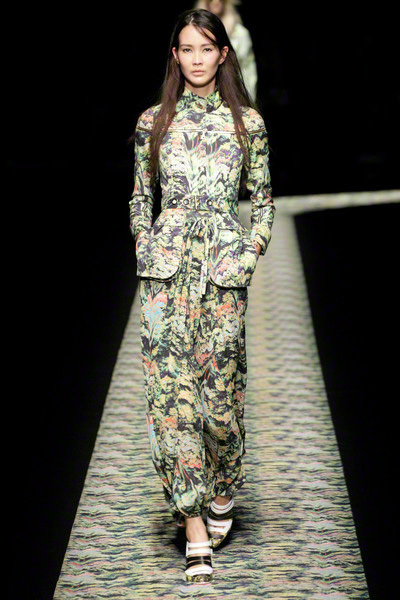 We found the biggest jungle out there at Kenzo. 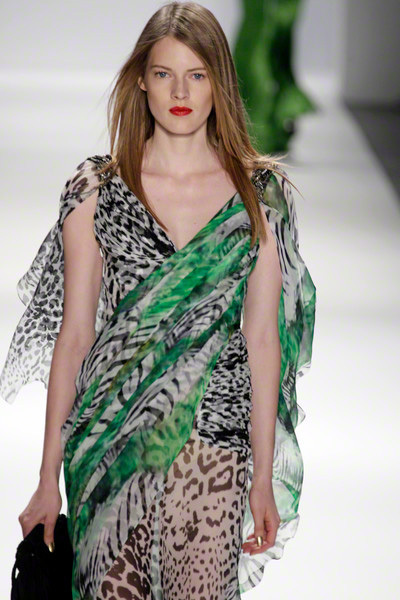 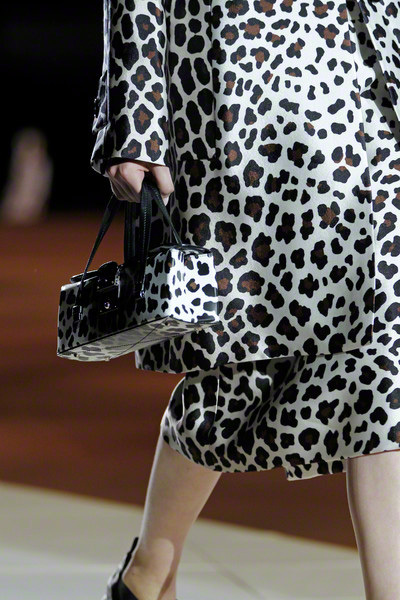 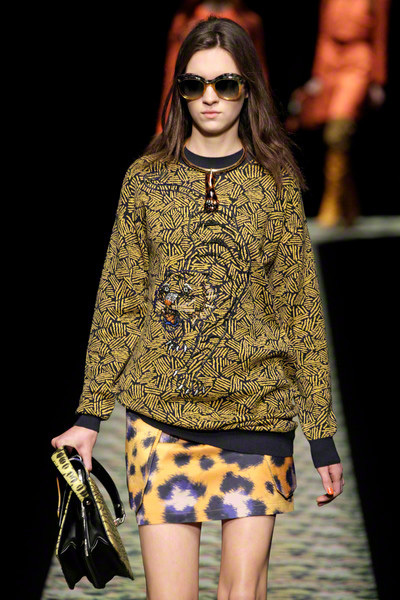 Here full on printed jumpsuits, busy printed safari looks and large bright leopard prints combined with tiger (it) sweaters warmed us up for a tropical summer 2013.